There are 151 active listings of houses, condos and townhomes currently on the market which is about as many listings we had in March of 2017 (152). 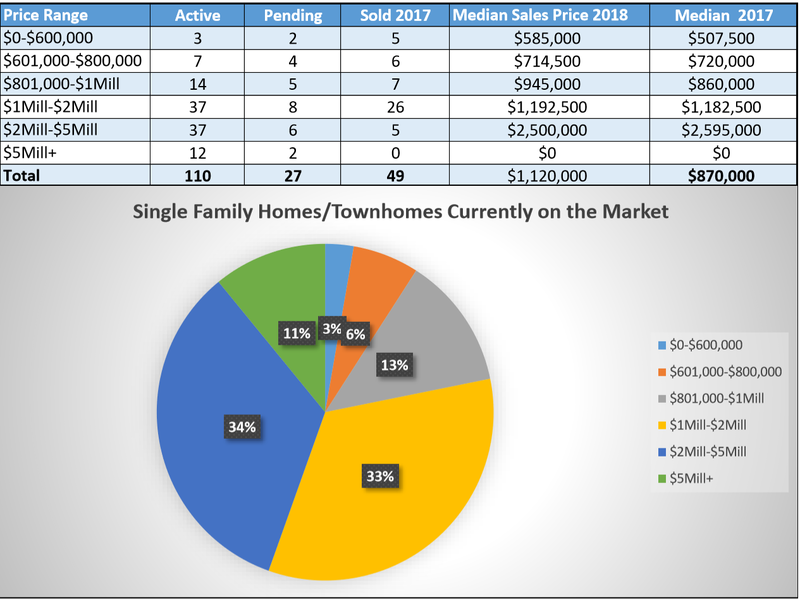 Of the 110 single family homes and townhomes for sale only 22% are under $1 million, with majority of available homes for sale, 45%, being over the 2 million mark. The median listing price is $1,796,500 which is 13% higher when compared to median list price in March of 2017 ($1,595,000) and the median sold price for the last 3 months is $1,120,000, 29% higher when compared to last years ($870,000). As you can see our local real estate market remains extremely active, and this is great news if you are thinking of selling.